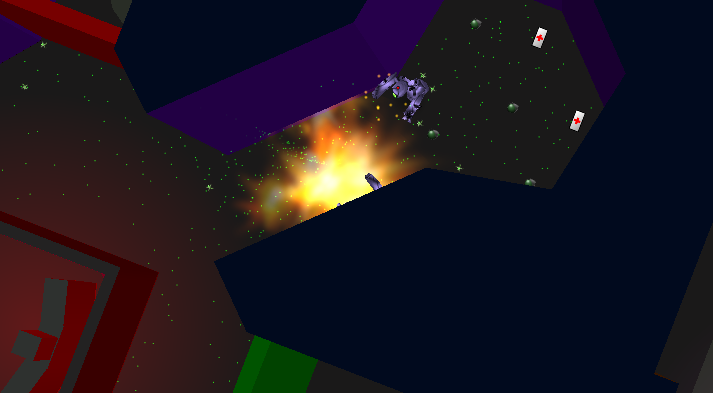 In Shotgun Debugger, you play a hacker on the run from black-shades-agents and fight against armies of droids. Projectile and energy weapons serve your cause, the most original of which gets reflected by walls and can be used to destroy enemies out of sight. Game mechanics include damage-inducing surfaces, exploding barrels and droids and simple press-the-button or find-the-key tasks. The story progresses in text boxes which appear between levels. Press 'v'. It will fix the perspective. 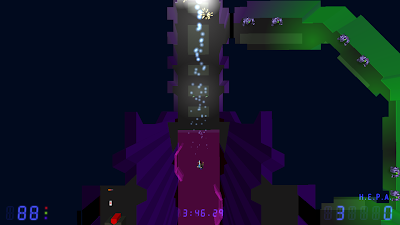 The game is rather hard and there are no save function, except between levels. 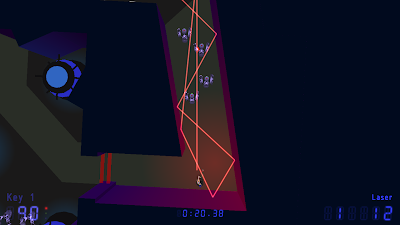 Enemies mostly hit hard and I found careful movement and taking cover to be the safest way to finish it. Code and assets are both GPLed and levels are editable in the SVG vector format. 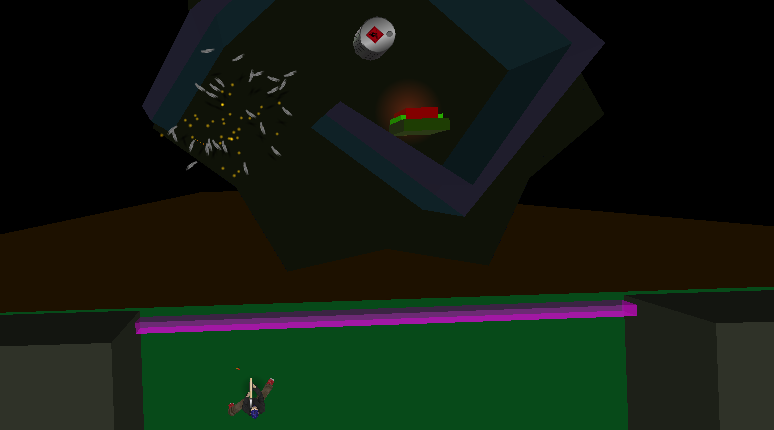 Inkscape was used to create the 2D (but rendered in 3D) levels! The level sources, are available on the homepage. I also want to recommend the 'trivia' section there. 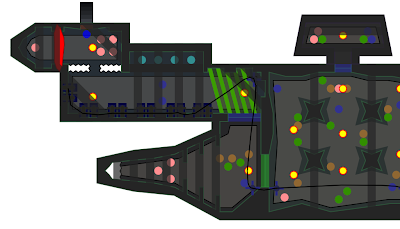 I think that with such level editing capabilities and mechanics (exploding and movable barrels) some interesting levels could be easily produced. I only need to figure out how to load levels independent of story mode. Shotgun Debugger is probably the best 'pure action' (no base building or 'advanced' item collecting or xp-gathering involved) top-down shooter I have played so far and it's definitely worth giving a shot. PS: If you're desperate for a windows version, over here! i've tried to get that game working, but it never works. is it only available in a source package? how did u get it going? Cool game! Its much different from most games of this type, and is pretty hard. I like the look and feel a lot. now, what's error 1 mean? 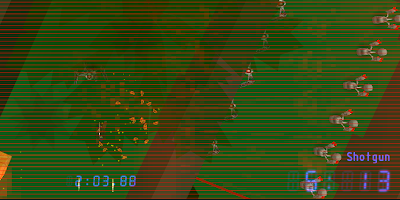 also, when i was trying to get penumbra working i couldn't do it. i noticed u tried, too. did u ever get it working? @Padster: again, you need to provide your errors, but I think it would be better to look into their forums. thanks. i still don't have it working, but i give up. 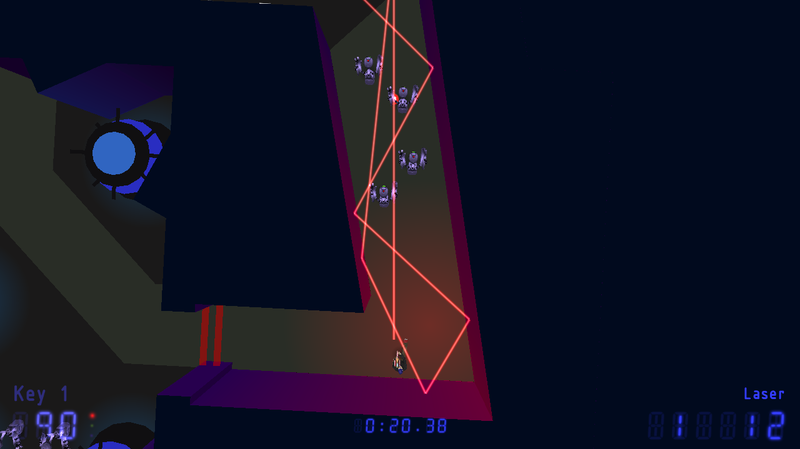 maybe i'll wait for someone to make a good working version of penumbra, too. a package or something. Am I blind or is there not a windows version? I'm not the coding type so I can't do anything with the source code.